Posted September 10th, 2005 by Ms. Jen & filed under Uncategorized. Sat 09.10.05 – Frankie wants out. 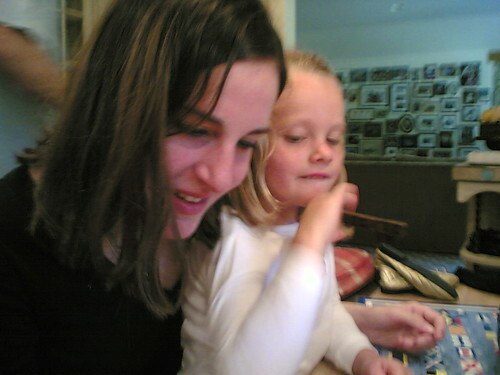 Posted September 8th, 2005 by Ms. Jen & filed under news + events. When my web design or art history students would get overwhelmed with their overloaded college courses and art projects, I would tell them to be the mouse who takes one bite at a time of a large wheel of parmasean cheese, chew thoroughly before taking the next bite, and the whole wheel would get systematically eaten over time. I am trying to live out my own advice this week. That is after my “I lost My Keys, all of them, on Labor Day Meltdown”. Then I had my go to Home Depot and re-key my whole house and report to one of my offices that the key was gone, etc, etc, etc. I discovered that replacing a deadbolt is relatively easy, if not a wee bit dirty. I am starting to chip away at the overwhelming wheel of pre-departure cheese. The moving sale is on Saturday, my mom is coming tomorrow to help me sort and price. I called all my utilities and bills today to inform them of my move and new address. My sister and I went to sort out financial details as she will be my official “Power of Attorney” and real attorney to help me organize my business and banking when I am in Ireland. Getting these small details done helped me feel more peace. I dropped by the Auto Club yesterday and sorted out Sugar Plum’s title. Joe is going to sell her and we are going to apply the $ to a good cause. Sale stuff. Pack house. Move it to my storage space. And then I can breathe free and enjoy my last week worry free. Enjoy my going away parties at Alex’s and Erika’s wedding. Best of all, Aer Lingus rocks for cheap flights in Europe. I will be going to Erika and Thomas’ German reception on Sat. Oct. 22nd at a winery near Speyer. Yeah! 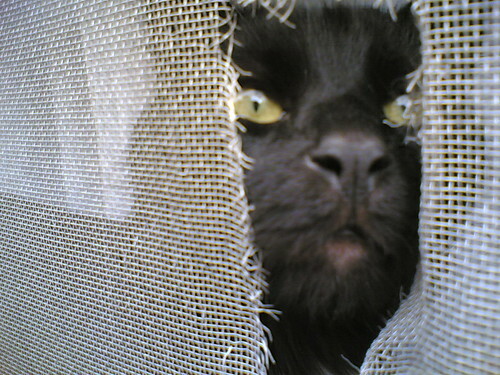 Miss Kitty is going to come to Dublin and I am going to visit her in Stockholm. Posted September 7th, 2005 by Ms. Jen & filed under news + events. 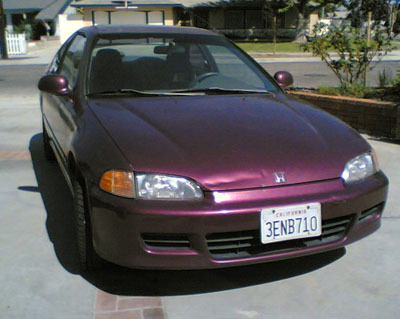 Furniture, Household Goods, a cute purple Honda, and Clothes. Come buy things and help me raise $ for Ireland. I discovered tonight that I am not ready to give Sugar Plum up to just anyone. Even if that anyone is a charity that will put her up on the auction block and put the proceeds to a good cause. I know she is old, has 230,000 miles, and is in somewhat “iffy” shape. But she is still Sugar Plum The Wonder Honda and I want her to go to a good home. Ever since brother Joe got her back running and her temperature/radiator system back in working order, I have been trying to search for a local charity that would help me find a family in need who would like to have the gift of Sugar Plum. In my daydream for Sugar Plum, a local Orange or Santa Ana family in need of a car but possessing mechanical skills would be happy to get Sugar Plum as a gift. They would wash and wax her (as I never did) regularly and put on new plastic hubcaps and would love her until it was time to go to the big chop shop in the sky. But I can’t find such a situation. I called Holy Family Cathedral and they wanted me to sell it and give them the money. I called the Vineyard in Anaheim and they wanted to give it to a Biola student. I looked at the websites of a bunch of car donation places and they did not give to local charities, only to big national ones. Erika suggested that I call LA Mission as they took used cars to help give homeless folk job training. Wonderful, Sugar Plum as training car. Not to be, as the LA Mission now wants to use one of the car donation clearinghousings and then get the $. Megan suggested that I “tithe to NPR”. I called KPCC’s car donation line and then after setting up the donation for yesterday, I couldn’t find the title (I put it somewhere too safe), and after spending several days crying about Katrina, I cancelled my donation. On Saturday, I spoke to my Aunt Anne and she suggested that I contact her friend Geoge who knows a nice young lady who just moved from the UK to go to graduate school and needs a car. Now this I could get excited about, me leaving to grad school in The Isles and Sugar Plum going to a person from The Isles who is going to grad school here. Good idea. Posted September 6th, 2005 by Ms. Jen & filed under photos + text from the road. Mon. 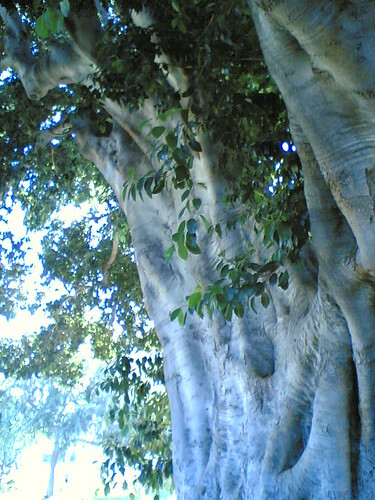 09.05.05 – A grand, old Mission Fig tree in Hart Park. Posted September 5th, 2005 by Ms. Jen & filed under news + events. Three weeks from tomorrow, in the morning at LAX, I will get on a plane and fly to Dublin for graduate school. In the meantime, I have a thousand things to do but feel like I am stuck in sub-zero mental molasses. It hasn’t helped any that I am not getting good sleep and I have had a five day sinus headache (danged fall allergies!). Need sleep. Need professional movers. Need a Moving Coordinator. Need a carpet cleaner to come. Need an IV of diet coke. Need another band for Thursday and Saturday nights. Need food in the fridge. Need toilet paper. Need several backup packages of coping and energy. Need someone to send emails to everyone about my moving sale. Need someone to organize my going away party. Need another big suitcase. Need Scruffy to stop shitting in the car. Need be able to pray. Need prayer. Need Sugar Plum to go to a good family. Need the couch to go to a good family. Need to get the corner cabinet over to Joe’s house. Need to pack. Need to sort. Need to price things for the moving sale. Need to find time to see my friends and family before I go. Need to finish up client work. Need to not fall asleep at my computer. Need to make flyers about the moving sale and post them around the neighborhood. Need to sleep. Did I mention that most of the above needs to happen before this wednesday? Two days from now. Posted September 5th, 2005 by Ms. Jen & filed under art + photography, photos + text from the road. Sun. 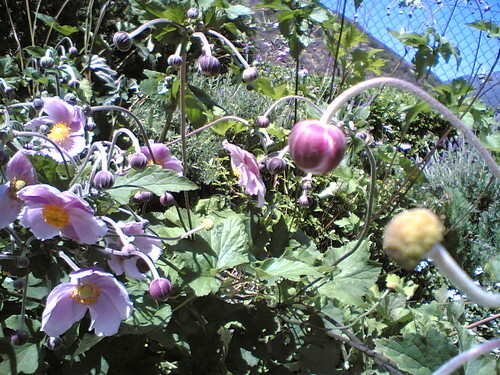 09.04.05 – Flowers in my uncle’s garden blooming and budding. Posted September 4th, 2005 by Ms. Jen & filed under photos + text from the road. Sun 09.03.05 – Visiting the Fam.